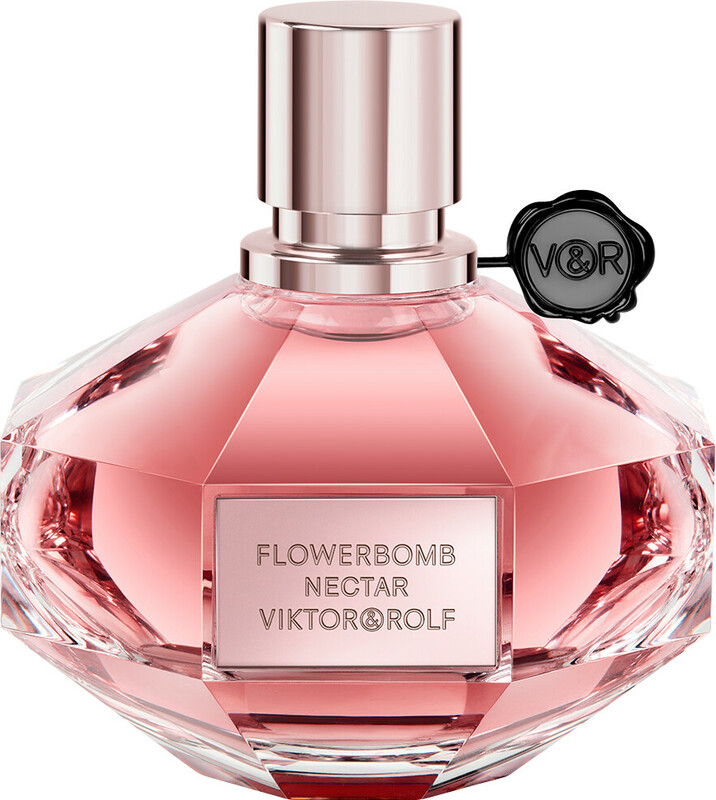 Journey to the heart of a flower with the Viktor & Rolf Flowerbomb Nectar Eau de Parfum Intense Spray, a women’s fragrance with floral and smoky accents. A sensual and intense version of the iconic Flowerbomb fragrance, Flowerbomb Nectar takes us to the core of a floral bouquet. More seductive than ever before, this new chapter in the Flowerbomb story has a denser silhouette, sharper lines and a story to tell that is explosive and impactful. A fruity cocktail of blackcurrant bud and bergamot meet in the opening of this concentrated elixir, before explosive facets of gunpowder give the composition a smoky twist. In the centre, a feminine flower liqueur embraces notes of orange blossom and jasmine sambac, before a base of vanilla, benzoin and amber give the perfume a sensual and intriguing touch. 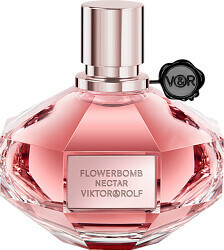 Viktor & Rolf Flowerbomb Nectar Eau de Parfum Intense Spray is rated 5.0 out of 5 by 3. Rated 5 out of 5 by sunshine28 from Love the smell My favourite perfume at the moment. Would definitely recommend buying it. Rated 5 out of 5 by Classy71 from Nectar by victor and Rolf This perfume is fairly new out but simply Devine ,get compliments every time I wear it ,can’t wait for body cream to c9me out for it .woukd def re ommend . Rated 5 out of 5 by Rainbow from Blackcurrant Bomb! 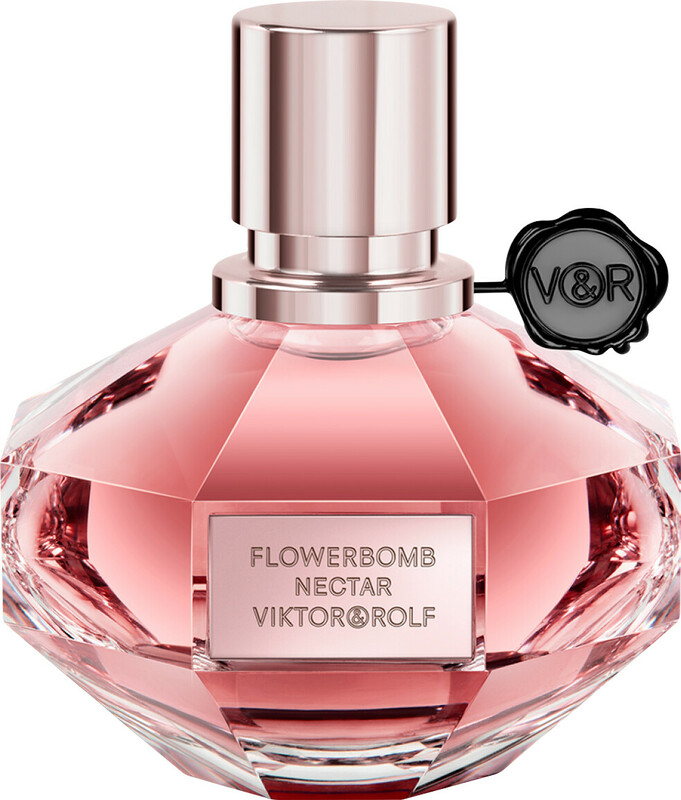 Flowerbomb Nectar is a very beautiful blackcurrant bomb of a perfume. I do smell the DNA of the Original Flowerbomb in Flowerbomb Nectar. And just like the original perfume, Flowerbomb Nectar has little to do with flowers. After that, the two perfumes have very little in common with each other. I always struggled with the Original Flowerbomb. I found it had a lot of musk in it. And although I didn't find the original perfume strong, It gave me a headache. Flowerbomb Nectar is super strong and has amazing sillage / projection. Despite this, Flowerbomb Nectar also has a lovely softness to it as well. The blackcurrant is neither too sweet or too sharp. I wouldn't call it a vanilla perfume. But the vanilla is there with enough strength to keep the perfume balanced, warm, cosy and comforting. I'd say Flowerbomb Nectar was an Autumn, Winter, Spring perfume. However, I have enjoyed wearing it even on quite a hot day. Flowerbomb Nectar - Love It!